Del Mar, CA (August 28, 2018)-Unusual Heat’s dark bay son brought a high bid of $250,000 from Jay Em Ess Stable. Topping the sale the colt as hip 11 Unusual Heat-Cinema Paradisa image here had generated an early buzz before he set foot in the ring due to his dam producing two stakes placed juveniles. Jay Em Ess Stable secured the sale-topper at the Barretts Select Yearling Sale for a second straight year, going to $250,000 for hip 11, an Unusual Heat colt. 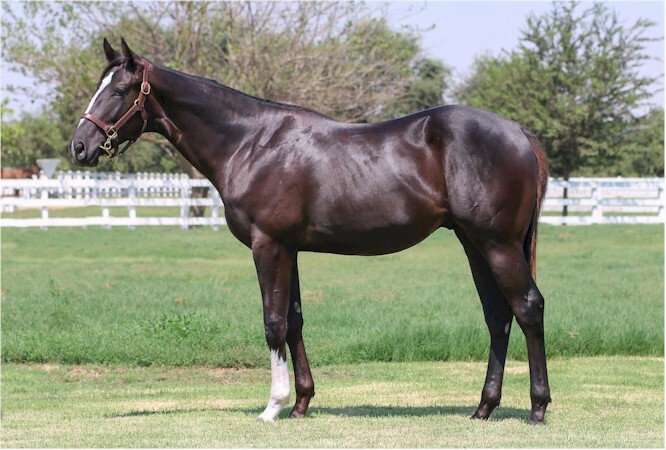 The dark bay or brown colt is out of the winning Capote mare Cinema Paradisa, who is the dam of five winners, including stakes-placed Moving Desert and Sambamzajammin. The California-bred is from the family of stakes winners Johnny Whip, Bonnie and Gay, Lady Offshore, and La Noticia. 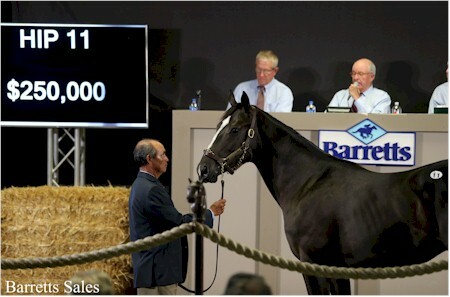 Harris Farms, the operation that stood Unusual Heat at stud, consigned the sale-topper. Unusual Heat was euthanized in May 2017 due to complications from laminitis.